Heroic fantasy, manga, science-fiction, alternative universes or wedding... you design your worlds in 3D, Sculpteo 3D print them! 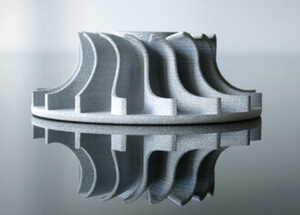 3D Printing or additive manufacturing is a digital manufacturing technology that enables us to transform a 3D file into an object layer by layer. The 3D file sums up all descriptive information about the 3D model so that they could be translated into a group of digital orders for a 3D printer. 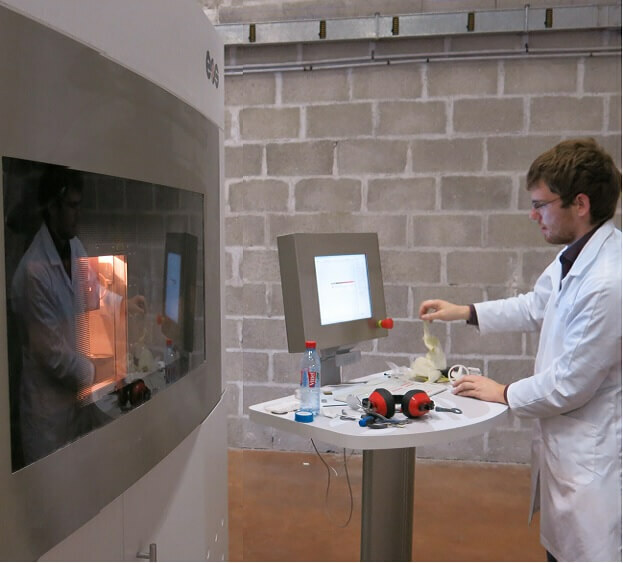 The 3D printer builds objects by adding a layer of material on the top of another layer. A lot of different materials are available (plastics, resins, wax, metals...) for 3D printing, in the form of powder, liquid or filament. The main benefit of 3D Printing is the possibility of producing any kind of shape, starting at 1 copy. 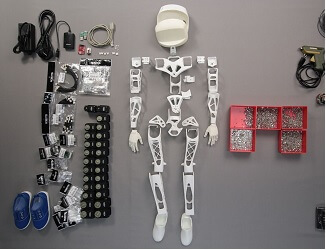 This manufacturing process is ideal for custom parts and short series for customized figurines. Our professional-grade 3D Printers are able to produce high-detailed objects thanks to excellent resolution (layer thickness up to 25 microns). This high-detailed rendering is strongly appreciated for sculptures and customized figurines. There's no minimum order, we manufacture your model starting at 1 copy. This way, you can do tests before ordering larger quantities. You can easily make customized figurines and personalized gifts. You can easily change the scale of your design directly online, avoiding you from uploading several versions of the same 3D model. You can share a link to your figurines and models with other enthusiasts and earn royalties on the sales of your creations. Are you a 3D scan champion? 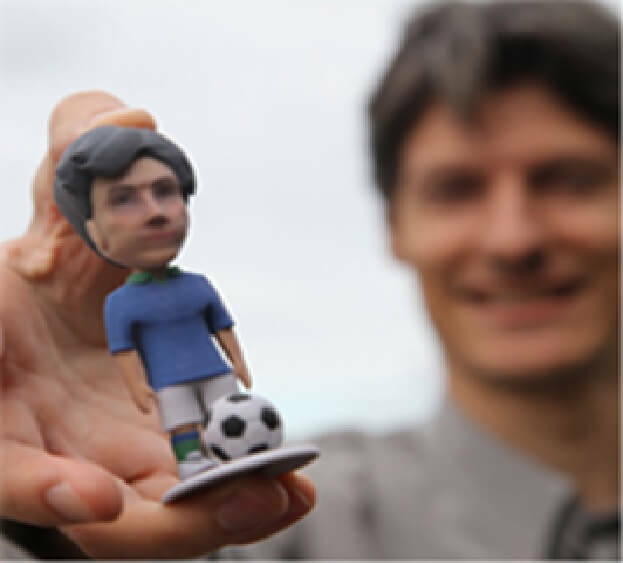 You can produce high-quality avatars thanks to full-color 3D Printing. Custom bobblehead, wedding figurines, birthday gift... are just one click away! Discount for bulk orders and API available. Figurine or Action figure enthusiast? 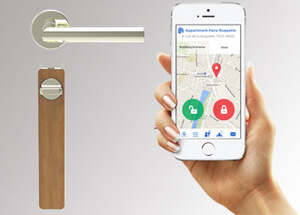 Receive at home your own creation! Multicolor material or Binder Jetting metals like Stainless Steel are perfect to get figurines with sweet colors or shiny aspects! Do you prefer cartoons and comics? Are caricatures your favorite? 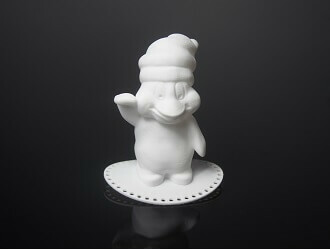 Our expertise and our quality obsession bring your ideas of 3d figurines to life! Total fan of robots? 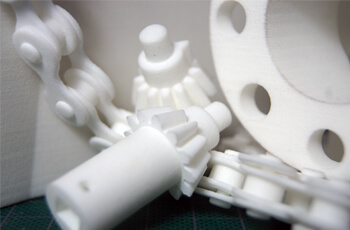 With selective laser sintering 3D Printing technology, we build articulated parts in a single pass! Inspired by monsters? Let us make your creepiest creatures. Have a look at our multicolor material for a bigger effect! You prefer to create your own universes? Are you a 3D sculptor? A character designer? We make your imagination real in a few days! 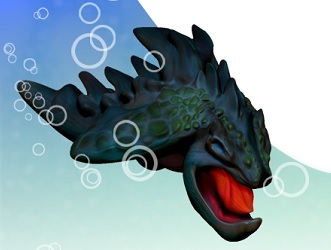 33+ 3D file formats are accepted on sculpteo.com! You just need to upload and we'll give a feedback and a quote for your custom part in seconds. We also provide optimization tools to help you to get your scale model at the best price. You can choose directly online your material and your scale. Plastic, full-color material, detailed resins, alumide, metals... the choice is yours! Tip: white plastic, stainless steel and multicolor are the best for figurines. We deliver your order at the place of your choice so you can make unique figurines! Items are usually shipped 48h after your order. Looking for some advice on finishing? Have a look at our tutorials about painting and finishing. 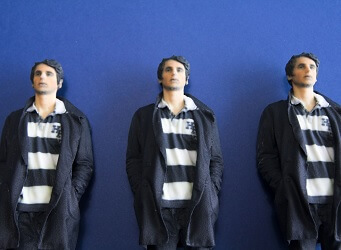 3D Print your sculptures and personalized figurines! 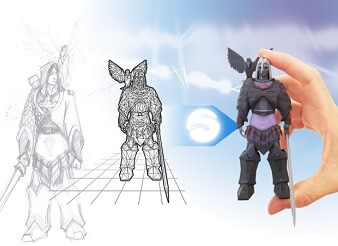 Sculpteo proved expertise helps 3D artists and figurine freak to save time and money thanks to 3D Printing. 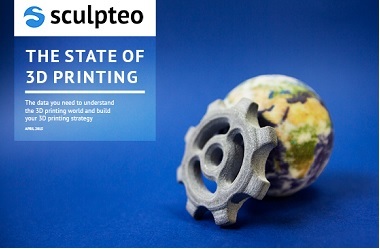 Sculpteo blog covers trends and news from 3D Printing industry and offers deep also analyses. You can, for instance, learn more about the partnership between Zbrush and Sculpteo to directly 3D print your custom figurines! 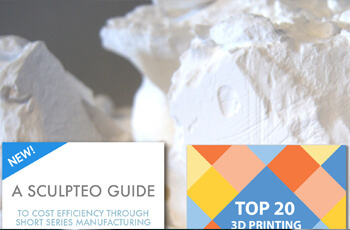 Check out Sculpteo free white papers dedicated to inspiring case studies, tips on how optimizing your 3D file or complete guidelines for a specific 3D printing technology.